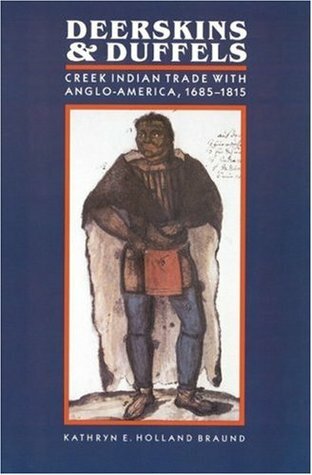 This book provides a unique analysis of the Creek trading economy up through the American Revolution. There have been many books on the creek that try to capture who they are as a tribe. This book seeks to understand the trading patterns that occurred and in doing provides a unique and never before seen approach to the Muscogee nation. The book is quick and easy to read and concisely covers the information relevant to trading in Creek towns. The reader not only hears about volume of trade which is seldom talked about but also a reconstruction of life in Creek towns. The book also presents what life as a trader was like in the Indian towns which are only a recent vein of scholarship still being developed. Finally this book comes closer to understanding how large the Creek Nation was based on the trading figures. Overall an excellent addition to the literature. Unfortunately, the author's focus was entirely on furs as a commodity, and not the commodification of human beings - the African slave trader.